Are we consumed with the pursuit of happiness? ” Jamie Gruman of the Canadian Positive Psychology Association thinks so. He calls it “happyology”. If you consider this blog and the scores of books and articles telling us how to lead happier lives, you would be hard put to argue with him. Earlier this year, I discovered an underlying science to this blog: all my posts fall into three categories of happiness. Hedonic: originating from the Greek philosopher Aristippus, hedonic happiness are acts that allow us to experience as much pleasure as possible while generally avoiding any painful experiences. Eudemonic: the pursuit of personal fulfillment, purpose and realizing your potential. Halyconic: to live in the moment and accept life without ambition to achieve or acquire more. Most of us are familiar with hedonism, the pursuit of pleasure. 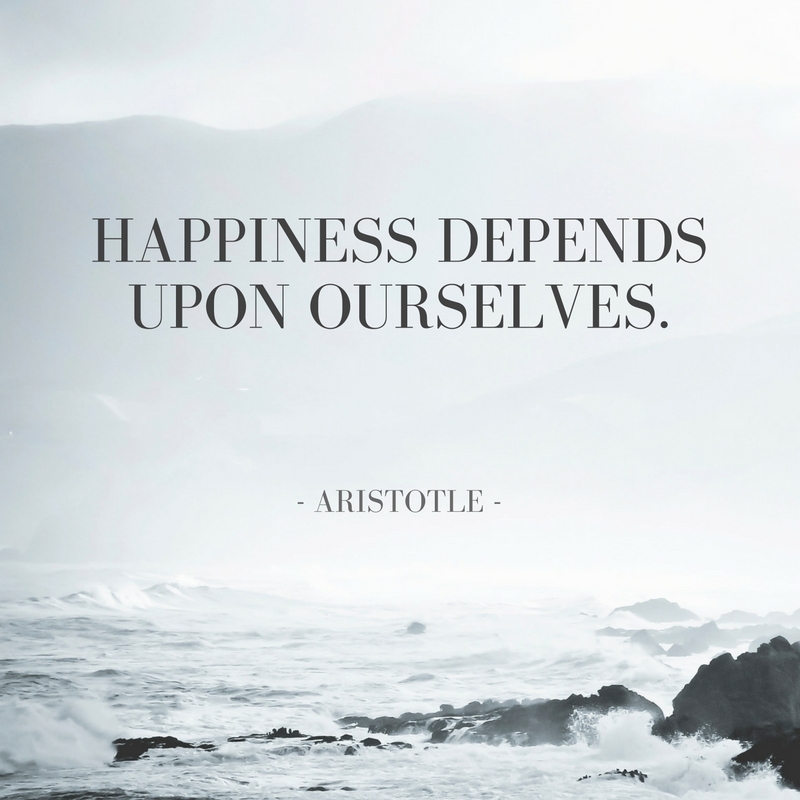 It was Aristotle who challenged Aristippus’ definition of hedonic happiness. Aristotle believed that hedonic acts, while temporarily satisfying, would not result in long-term happiness. He believed that happiness depended on the cultivation of virtue, and the realization of our full potential as humans beings. Gruman says halyconic happiness runs counterintuitive to everything we are taught. Go forward, be ambitious, live an active life, set goals and focus on achievements. What happened to just live in the moment? Some psychologists maintain that instead of focusing on happiness, we should focus on well-being, which is defined as the extent to which we feel comfortable, healthy, and satisfied with our lives. What’s the difference? A person might use drugs or alcohol to feel happy, but this is a short-term emotion and has serious consequences for their physical and mental health and will likely lead to unhappiness. In my very first blog post, I wrote that the phrase, “the pursuit of happiness” is hogwash. Happiness is not a destination. You don’t find it or achieve it. Happiness is a state of being, a continuum. This week’s #HappyAct is to continue on this journey with me. Join me in the ongoing exploration of what it means to be happy, one hedonistic, eudemonic or halyconic happy act at a time. Bonus act: Help me realize my eudemonic self by sharing this post.